National Hug Day also known as Global Hug Day is celebrated on January 21. It was founded by Kevin Zaborney in 1986. Although it is not a public holiday yet, it is aimed at encouraging people all over the world to openly express their feelings to each other through hugging. Actually, the action of hugging has a beneficial effect as it helps people to feel close and affiliated. It is a believed to be a form of therapy, as well. According to the National Hug Day website, both a friendly squeeze and a passionate caress have the same mental and physical benefits. Embracing or hugging someone has a stress-reducing health advantage. When people hug each other, there is the release of the hormone oxytocin, which influences mood, behavior and physiology. Hugging is highly recommended for people under constant pressure of work or some other factors as it balances the nervous system. 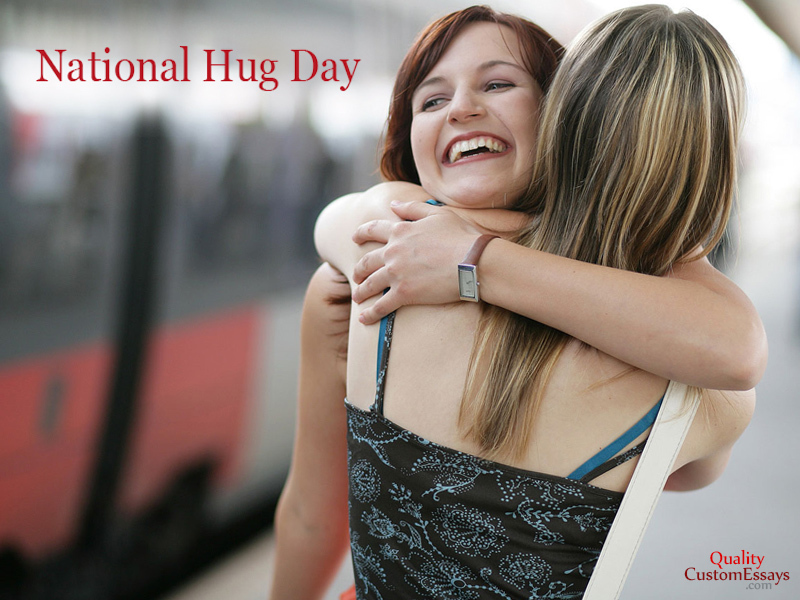 Nevertheless, the founder of National Hug Day, Kevin Zaborney, wanted to promote people’s happiness and welfare. That is why there is an important note of caution to ask before you offer a hug. We should keep in mind that some people are eager to give and receive hugs without any troubles, whereas the others do not stand to do this. For instance, it might be unacceptable for the people prone to solitude or with an introvert type of character. As a matter of fact, hugging is described as an ultimate feature of person’s vigorous, alive existence. A human being needs 4 hugs for survival, 8 hugs for maintenance, and 12 hugs for a day to grow. It doesn’t mean that you are going to get rid of all life’s problems, but you would definitely extol the benefits of a hug. Hugging protects people, generating the feeling of love, comfort, friendship, on the one hand, and reduces stress, on the other hand. Make sure you tried this kind of therapy because since you did, you won’t give up practicing happy hugs. Switch on the positive attitude not only on the National Hug Day. Enjoy it every single day of your life.